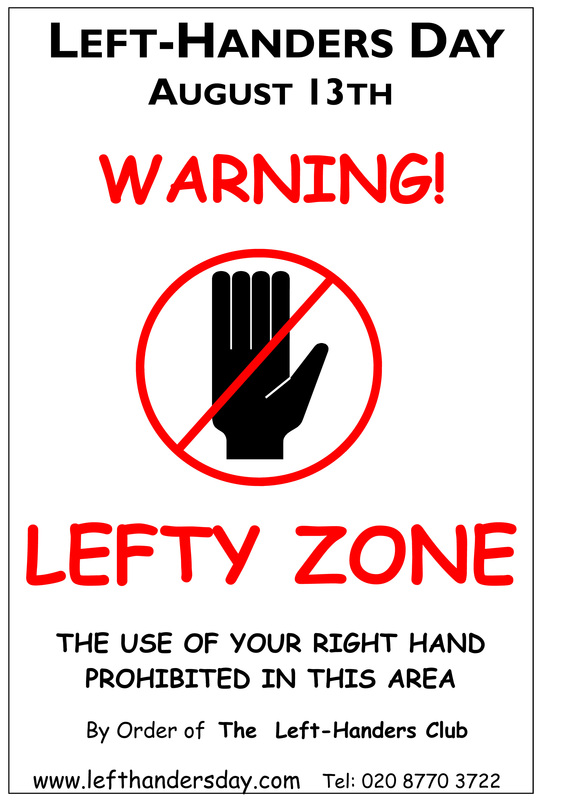 why is left hander’s day so special to lefty’s? unless you are one, you probably don’t understand the awkwardnesses that encompass a lefty’s life. to have one day of the year when maybe the righty’s could see eye to eye with us, that’s somethin’ else. with your left hand, pick up a mug, pen, pencil, or any other marketing device you would normally grab with your right hand… notice the words are upside down or not even visible? entire family is right handed. left handed daughter wants to learn to bat, golf, swing a hockey stick, play any sport requiring equipment. enough said. your mouse, your keyboard, opening doors, the set up of sinks, COFFEE MAKERS, TOOLS, can openers, scissors, note pads… the list goes on. if you’re a righty, think to yourself today before you use pretty much anything, how would a lefty do this. i guarantee your brain will start to hurt. maybe even smoke. with that, reach out to your upside down, south pawed friends, and give them a left handed high five. because today is their day!